This is the largest of the boxes. It’s 6 x 4 x 2. There’s a pocket in the lid perfect for scissors and whatnot. 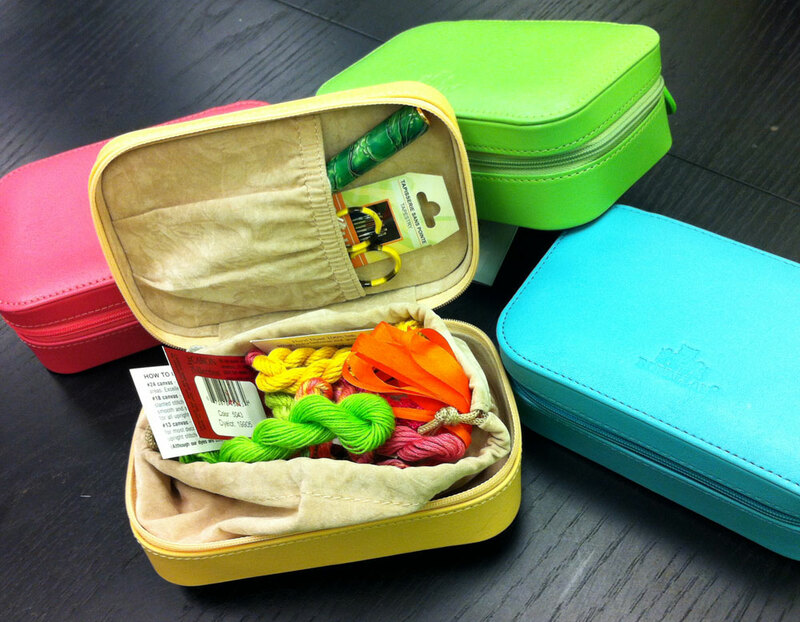 A drawstring bag in the body of the box will keep a group of threads neat, or remove it as desired. 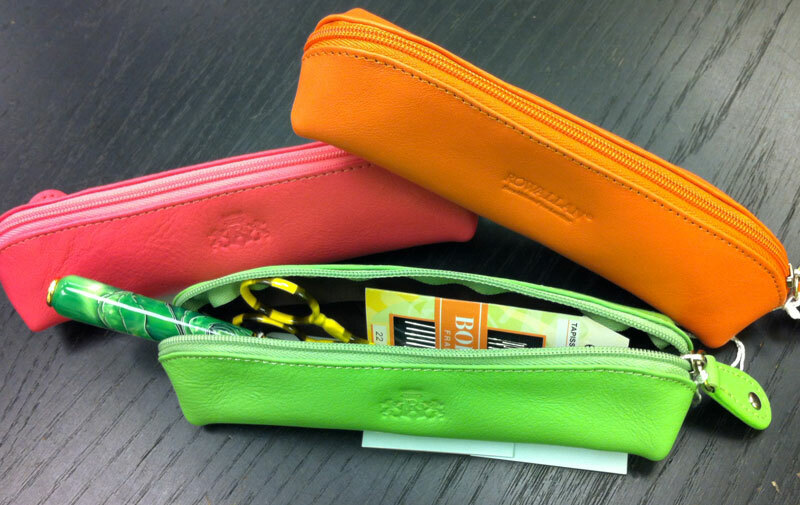 The pencil case is big enough for a BLT, scissors and needles – the basic essentials. The small box makes the perfect beading buddy. 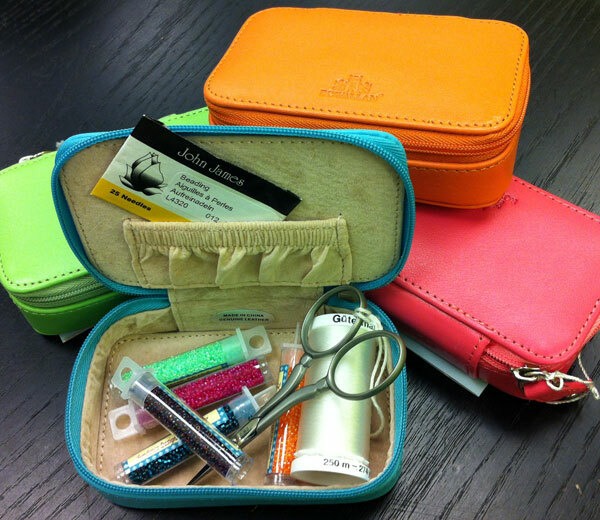 Scissors, needles and beads conveniently contained. All items are available in lime, orange, blue, pink and coral. Call us at 410.296.0405 if anything strikes your fancy. I really better send you those scissors and stop making them model for me.